If you want to grow your business, leave it. Get out of the office! That is how you’ll expand your network, learn what you don’t know, stay ahead of the curve, and meet mentors. Find an entrepreneurs’ organization, join and attend their events. Go to a trade show. Check out the conference that everyone in your industry always talks about. Hop on a train, drive, hitchhike, barter or fly to their annual conference. Then make it a practice to do it every year. Think you can’t afford it? The real question is, can you afford NOT to? Attending conferences is where you work ON the business, not in the business, which is how you can make sure you are using the most up to date business tools, getting new ideas, and working with the best of the best. This strategy was KEY to how I built my two businesses, first Little Pim, and now Million Dollar Women. I found some of my most revenue generating partners for Little Pim at CES (Consumer Electronic Show), ABC Expo (a baby and juvenile trade show), and at Entrepreneur’s Organization national and international conferences I attended for over six consecutive years, from Pennsylvania to Panama. Not to mention the friends I made, fun meals I shared and shots I drank with fantastic people I never would have met otherwise! In this post, you’re going to learn my best kept secrets for attending networking events. You’ll come away from this post knowing how to prepare, what to do to make valuable connections and the foolproof system I use to follow up with people I meet and lock in new business. The catalyst for writing this blog was attending a conference I’d never been to before, the National Speakers Association (NSA). 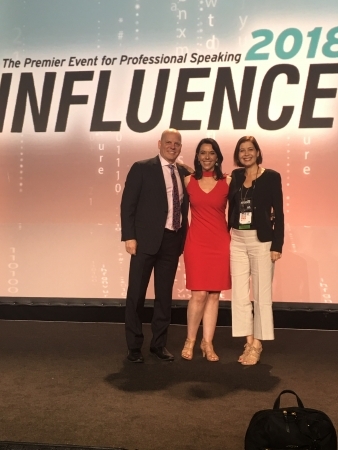 Every summer, a few of my EO friends head to their national conference and came back with rave reviews about speakers they saw and new ideas for their business. At first I thought why would speakers want to know each other? Aren’t they all in competition? But then I realized that I have more in common now with other author-speakers than I do with many entrepreneurs, so this year I packed up and went to NSA, encouraged by Verne Harnish, a mentor and new partner of Million Dollar Women. It’s been a while since I had to show up at a conference where I don’t know very many people, and I admit I was nervous. Being nervous reminded me that I spent the last 15 years going to conferences, trade shows and summits and I have it down to a science how to make sure I get top ROI (Return On Investment) when I do. I want you to get great ROI too, so here are my Million Dollar Women tips. Sign up for that multi-day conference and don’t look back. Or maybe you’re having bad flashbacks of the high school lunchroom? Social situations with tons of strangers who are more experienced professionally than you… it can be intimidating! Or maybe you’re worried about the money spent on the event and traveling there – will it be worth it? Yes. It will be worth it if you make it worth it. I will show you to make the most of the several hundreds or several thousands of dollars you spend on attending a networking event. Most of the hard work to make attending an event successful happens before you even get on the plane or walk into the room of people with badges hanging around their necks. Look at who is attending. Sometimes it’s posted on the event site, other times you have to ask the organizers to send you a list (Don’t be shy! Email them directly!). Make a list of who you already know and reach out to them to let them know you are attending and ask to meet up or what sessions they are going to, especially if this is your first time attending this event. 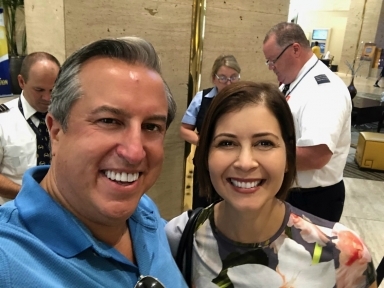 I reached out to three people I knew before heading out to NSA and ran right into my friend Corey in the hotel lobby while checking in. Seeing Corey made me feel so much more at ease right away. And he introduced me to several people on the spot, so I had three new “friends” before I even checked in. What will make this event successful for you? Be very clear on what success looks like, write down your goals on paper or in your phone as a list and visualize them becoming a reality before you attend. Some examples: face time with buyers, meeting potential new clients, leads for sales, speaking opportunities, getting advice on doing a TEDx Talk, finding speakers for your event. Be quantitative if you can. Would having 10 new names be success? Or 20? Set a goal and go for it. Look at the agenda and make a plan before the event of what you want to attend. This is key because you don’t want your nose stuck in your phone trying to figure out the schedule or which talks or workshops you want to attend during the event. Have a plan ready to go so you can maximize the time you have to network with the attendees. Make materials you can give out. A business card is obvious, but think about what you can put in print too. Now that everything is digital, print is the new premium. For example, I made 6×6 cards about MDW Masterclass to give to people I met. Great for quick chats in elevators. I also left them in strategic places for others to pick up. My printouts did some of the networking for me when I wasn’t even there. I can guarantee that all of your devices will run out of battery during the event, and then none of the outlets will be free when you need to recharge. This won’t be a problem if you have a backup notebook to take down notes and contact information! I always bring computer, phone, and a physical notebook, plus an extra battery. Networking events can be exhausting. You’re talking all day, you have to wear nice (read: not always comfortable) clothes and they usually last all day long and into the night. These tips will help you make the most of networking with the right people without draining yourself. When you can, take a breather, get outside for a little bit and get in touch with home. Doing this helps you pace yourself too. You don’t want to burn out after the first day! It’s okay to wear heels to these events, but make sure your bag can fit an extra pair of flats since you’ll be on your feet a lot. You don’t want painful shoes to slow you down. Always bring a dress or outfit for evening events too, like cocktail parties and dinners. Keep in mind you can also make choices that can be intentional conversation starters, like a bright pair of glasses or cool shotes. 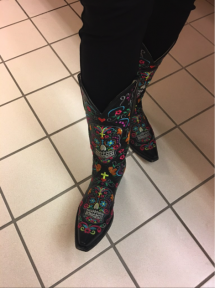 Check out these boots I saw a woman wearing at NSA – asking about them was a great way to start a conversation with her. Introduce yourself with the problem you solve. The biggest mistake people make when introducing themselves is using a noun. “I’m an SEO specialist.” or “I’m a coach.” isn’t the best way to start a conversation. The idea is to get them to say “tell me more” after you introduce yourself. How do you make this happen? Tell them what problem you solve. “I help businesses get discovered organically online.” is a lot more interesting than just saying “SEO specialist.” Try it out next time you meet someone new and see what happens – it’s a good way to practice before you get in front of people who are potentially important to growing your business. Take notes on the business cards you collect. 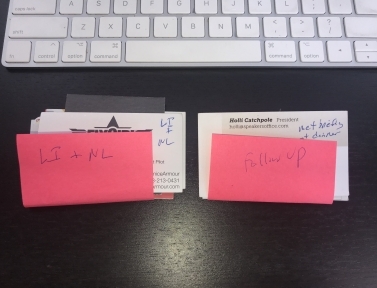 After you talk with someone and get their business card, write what you remember about what they do, where they’re from, something you had in common, etc. Keep them all in one place, not shoved into pockets and various secret compartments of your purse where they are apt to have a run in with melty gum. Come away from conversations with action steps. After meeting someone, establish who is going to follow up with who and about what. That way, you and the other person knows what to expect (and it won’t be a surprise when they see your name in their inbox and vice versa). Assume you are wanted there. I know how stressful new social situations can be. I urge you to not get into your head too much about it and always assume that people want you around. You deserve to be where you are, you have a lot to bring to the table. My rule is that if you’ve already had one conversation with someone at a multi-day conference, you can already consider them a friend and just walk up to them next time you them, even if, or especially if they are with others you don’t know. It’s normal to feel nervous, but remember that everyone feels the same way especially if it’s also their first time at that event. Don’t wait to follow up or reach out to important people you meet. None of what you do at the event matters if you don’t take the right steps to follow up with and organize contacts after the event. If there’s anything I want you to take away from this post, it’s this section. Have you ever done this? You go to an event, collect a ton of business cards, stash them in a drawer at home and forget all about them… until three months later when none of those people would even remember who you are. We’ve all done it, but I’m going to help you avoid that from now on. How you use your connections following an event is how you get the Return On Investment (ROI) of attending, especially if your goals had to do with sales, clients, speaking gigs, partnerships and meetings. After every day of a multi-day conference, store business cards you collected in a pouch or a zipper pocket in your luggage – somewhere you won’t lose them and so that they’re all in the same place. On the plane ride home, take it out. Resist the urge to zone out to a rom com and instead start getting organized. If you don’t do it at this point (right after the event) you’ll never get around to it because you’ll be catching up on emails and other work when you get home. Pull out all the business cards you collected and make different piles. Make two piles. One for who you’re going to just add to your email list or Linkedin and another pile of people who can help you reach the goals you set before the conference. Then, create a spreadsheet specific to the event and enter names and contact info into it. Name it something like “NSA 2018 Contacts” because then you can always go back to it when you need to be reminded of where you met someone, or easily find someone’s contact info. In the sheet, mark which contacts are urgent, important but not urgent, and low priority. When you get home, you can easily delegate the “low priority” contacts to a VA (Virtual Assistant) who can add them to your email list or send LinkedIn invitations for you. Open a word document and start drafting emails to people you said you’d follow up with or people you wanted to reach out to. That way, when you land you can just copy/paste what you’ve written into emails and send them off. Easy! 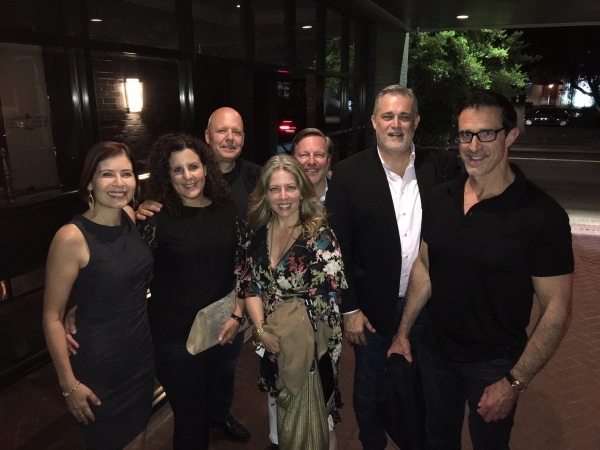 You may meet enough people at events where you’d want to add them to a CRM system if it helps you with organization or makes sense for your business and goals. I am excited for you to put these tips into action at your next conference, trade show, summit or networking event. I know they’ll make all the difference. And if you want to take your networking game to the next level, click the button below to get my free eBook, Power Networking for Female Founders.